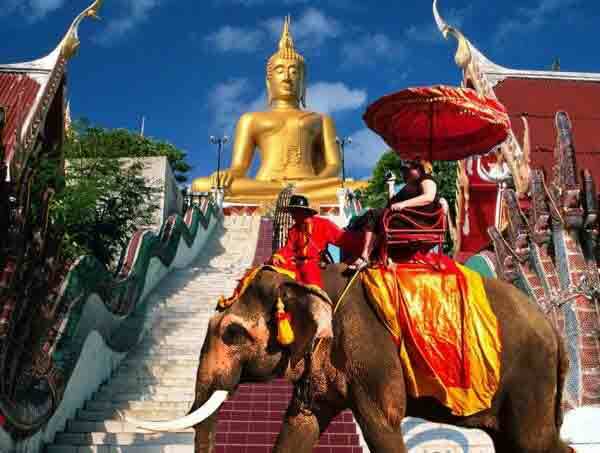 Take in Phuket Island's natural beauty as you are driven along beach roads through Patong, Karon, Kata and Rawai. Visit the 'Three Beaches' viewpoint where you can take in a great vista of the beautiful bays of Kata Noi, Kata, Karon and Kho Pu Island, at one of the island's best scenic spot . It also includes a leisurely drive around Phuket town to view the Sino-Portuguese style buildings. 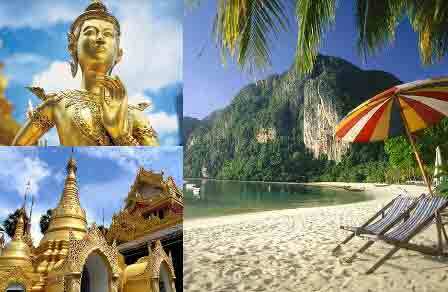 Phi Phi Island is Thailand's island-superstar. It's been in the movies. Phi Phi's beauty is a large chunk of the allure. The islands, when approached by boat, rise from the sea like a fortress. Sheer cliffs tower overhead, then give way to beach-fronted jungle. The James Bond Island, Phuket is an uninhabited island that provides you with some excellent opportunities to indulge in speedboat rides and snorkeling. The island is also known for the lovely green and blue waters. The place offers you a lot of tranquility and beauty. Phuket FantaSea bills itself as “the ultimate cultural theme park” a Carnival village with games, handicrafts and shopping; a 4,000 seat theme restaurant offering a grand buffet of Thai and international cuisines; and a breath-taking Las Vegas-style theatrical show, where state-of-the-art technology and special effects enhance the grace and beauty of Thailand's Myths, Mysteries and Magic in a wondrous extravaganza certain to delight the whole family.